If I Might Interject: Does the Church Need a Pope from [Location Here]? As the Church grows closer to the Pope's renunciation of office, I've seen certain discussions online concerning who should be chosen as his successor. One of these discussions involves the statement that the next Pope should come from a certain region. Africa seems to be the most commonly mentioned region in this regard, although other regions have been mentioned (Latin America, Italy or the United States for example). Now, I firmly believe that the Pope, being the successor of Peter, can come from any region and if the best person for the job is from Africa, then he should be chosen for the task. But I also think that those bloggers and blog comments who say that the vibrancy of the African Church means an African Pope would be best suited for the job are actually using the fallacy of division. Maybe, maybe not. Perhaps performing alone, some members of the orchestra are mediocre, but when combined with others, their contribution helps create the excellency of the whole. The argument for a Pope from a region because the region is known for a vibrant faith is the same fallacy. We can't judge the individual by the region he comes. I don't pretend to know who will be the best choice to succeed Pope Benedict XVI (I have an idea on who I would like to see, but I will keep silent on that). I do believe that whoever is chosen, it must be because the cardinals believe him to be the best choice to be the Successor of Peter, and not because the region he comes from is known for a strong faith. 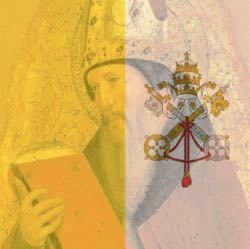 We certainly need to pray for the coming conclave, that the cardinals will be guided by the Holy Spirit and not by human considerations.